Includes the Major Four Additives Required For the ZEOvit Method! Reef Tanks that use the ZEOvit Method show results, fast-growing corals that can produce super pastel colors and can turn a great looking tank into an extraordinary reef tank! The ZEOvit system requires the use of specific additives and a media to create an Ultra Low Nutrient (ULN) system, allowing you to systematically add elements and nutrients back into the tank, giving you the utmost control. ZEOvit Media - The KZ ZEOvit ZEOlight mix is the primary media used in the reactor. The mix consists of three different zeolites chosen for their ability to reduce toxins in a balanced manner. ZEObak– This liquid additive contains a verity of bacterial strains that form the proper chain for nutrient reduction. You use this product to introduce and maintain healthy populations of the desired bacteria in the ZEOvit system. ZEOfood - This is a nutritional supplement for the corals. 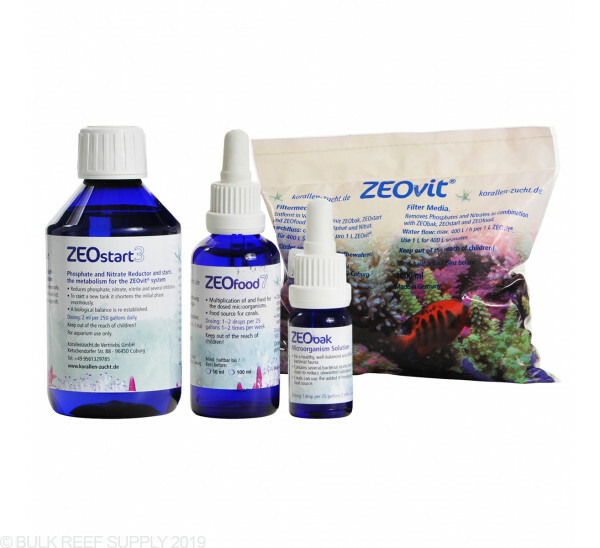 ZEOfood is primarily composed of amino acids and vitamins which enable corals to uptake necessary nutrients and leads to a natural brilliant coloration. 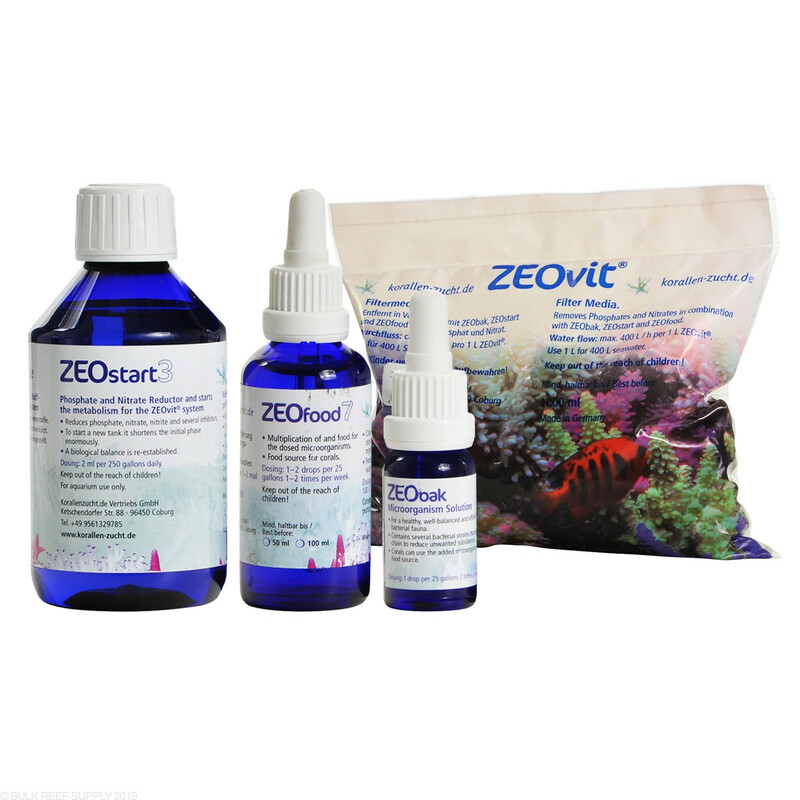 ZEOstart– This product promotes the reproduction of all nitrifying bacteria in the aquarium to help the system naturally remove phosphate and nitrate. I was skeptical about the KZ System at first due to the lack of information about what exactly is in their product... but after a couple months of use I have to say my tank has never looked better, i’m fairly new to the hobby but with the KZ system I have managed to have thriving SPS and LPS corals in my tank... also it solved my algae issue I had been struggling with for two years before I started the system... I strongly recommend to everybody! What additives can be stored long term and be bought in larger sizes? The shortest shelf life is the ZEObak with a shelf life of 3 months (6 months if unopened) as it contains live organisms. You will know when a bacterial strain has spoiled by the presence of a foul odor. Both ZEOfood and ZEOstart can be stored for up to 2 years and since ZEOvit is a dry good it has no shelf life while it remains dry.